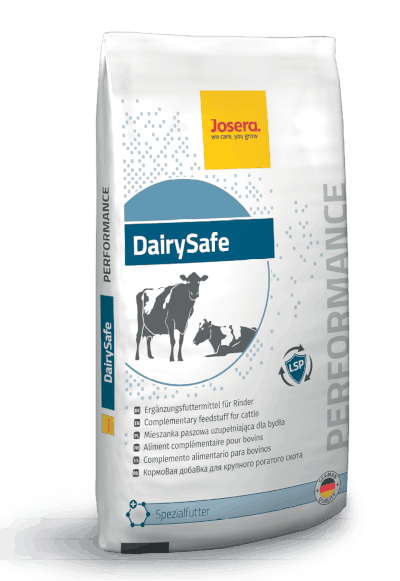 JOSERA DairySafe with the liver safety-package for a more performing liver. 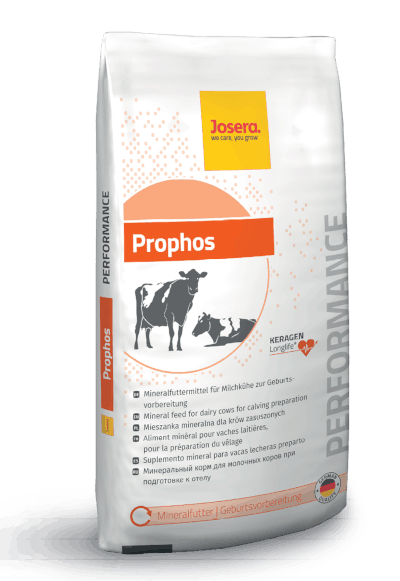 JOSERA Prophos Keragen®Longlife as a high quality specialty mineral feed is perfectly adapted to the needs of dry cows. JOSERA MiraCal KeragenLonglife® does not contain phosphorus and is recommended for mixed rations with high amounts of phosphor rich components. JOSERA MiraPhos Keragen®Longlife is the high-quality phosphorus supplier for dairy cows with very high performances. JOSERA LactoPlus Keragen®Longlife supports the ultimate performance of cows during lactation thanks to high quality components. JOSERA Complett Keragen®Longlife is an outstanding mineral feed for ultimate performance during lactation and a supplement for high-phosphorous feed rations. JOSERA Miramin Keragen®Longlife offers adequate quantities of nutrients, making it an excellent mineral feed to supplement rations high in phosphorous. JOSERA Miramin EXTRA Keragen®Longlife offers adequate quantities of nutrients, making it an excellent mineral feed to supplement rations high in phosphorous. JOSERA Betamin Keragen®Longlife with its beta-carotene content is an outstanding mineral feed for very good fertility and ultimate performance. 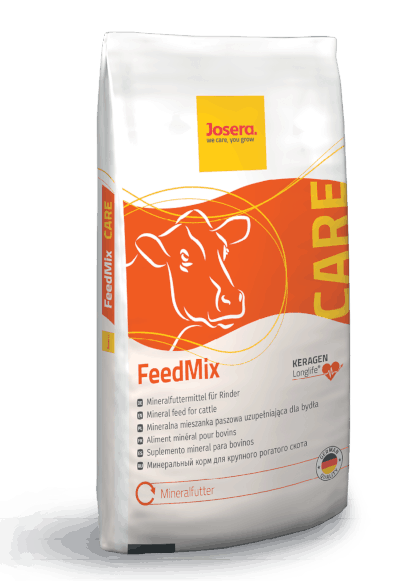 JOSERA FeedMix Keragen®Longlife is a high quality mineral feed ideal as a supplement to normal mixed rations with a high proportion of feed components that are high in phosphorous. 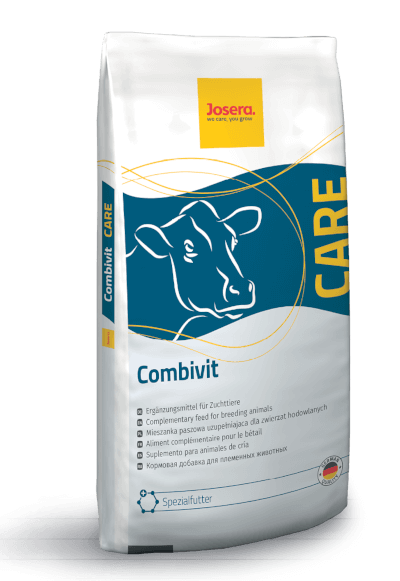 Fortified with high-quality vitamins, JOSERA Combivit is the ideal supplement in case of high stress and infection pressure. 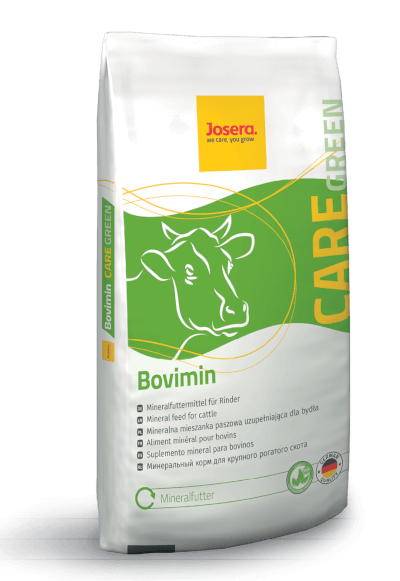 Thanks to its high beta-carotene concentration, JOSERA Betavit is the ideal companion in the calf reproduction phase. 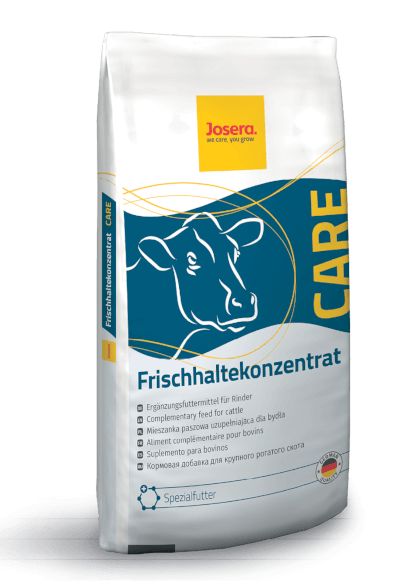 JOSERA Frischhaltekonzentrat is our recommendation for stabilising mixed rations and preventing microbial changes. 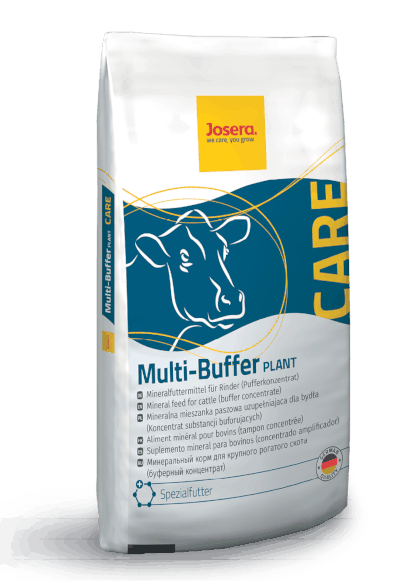 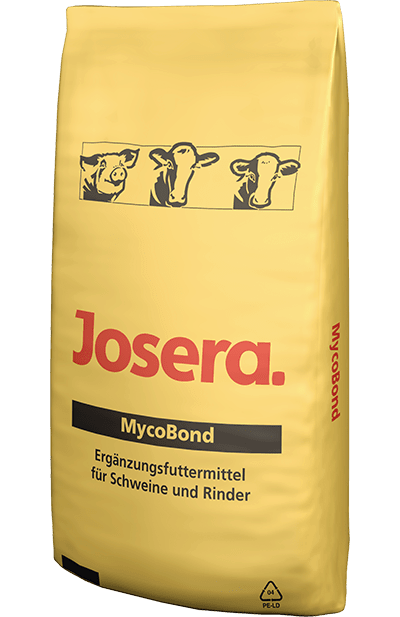 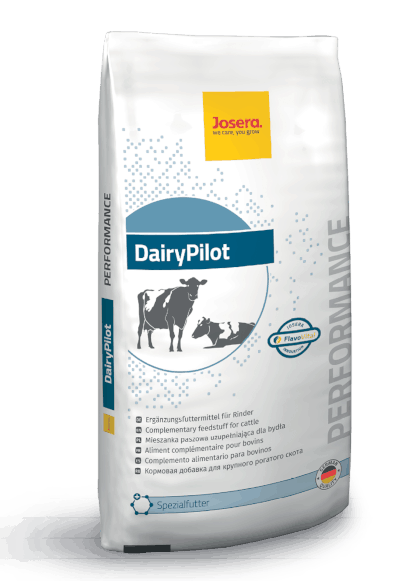 JOSERA Multi-Buffer PLANT is an outstanding feed supplement for stabilising the rumen pH value. 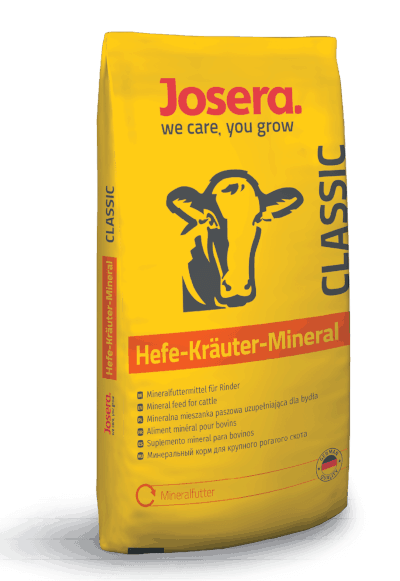 JOSERA Hefe-Kräuter-Mineral with highly palatable components is ideal as a supplement for rations that are balanced to high in calcium. 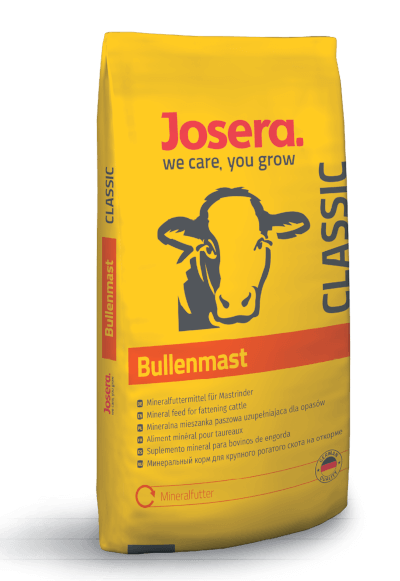 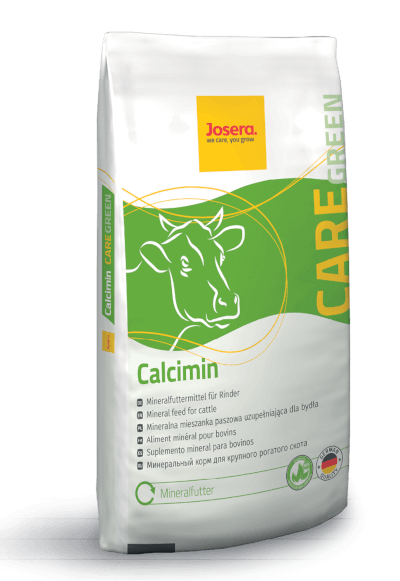 JOSERA Bovimin is our recommendation for a high-phosphorous mineral feed for organic farms striving for high performance. 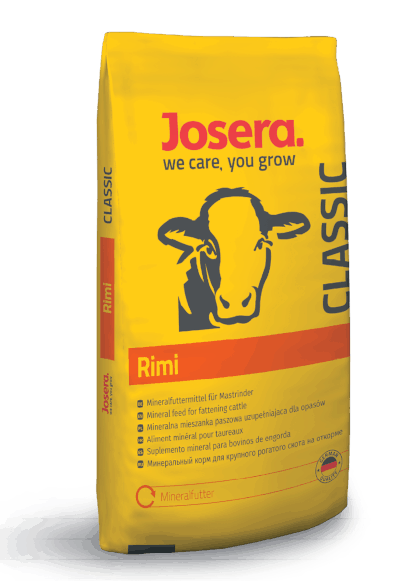 JOSERA Rimi is our low-cost mineral feed with solid fortification, suitable for both cattle and cows. 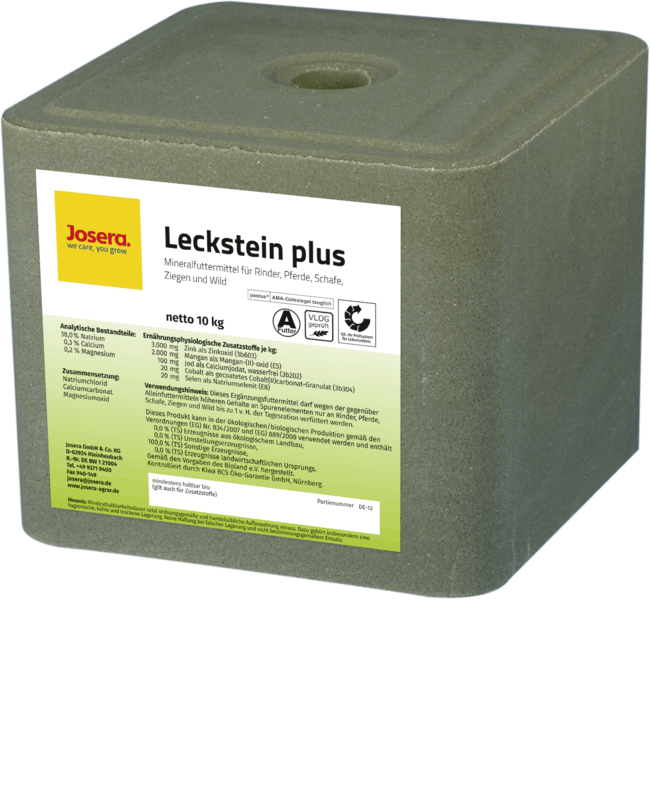 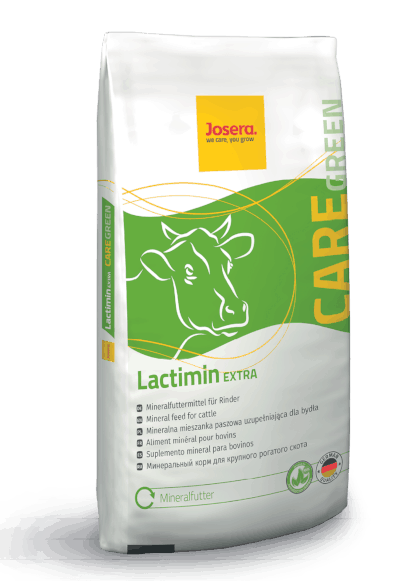 JOSERA Lactimin EXTRA is a premium mineral feed that is rich in live yeast, for use by organic farms. 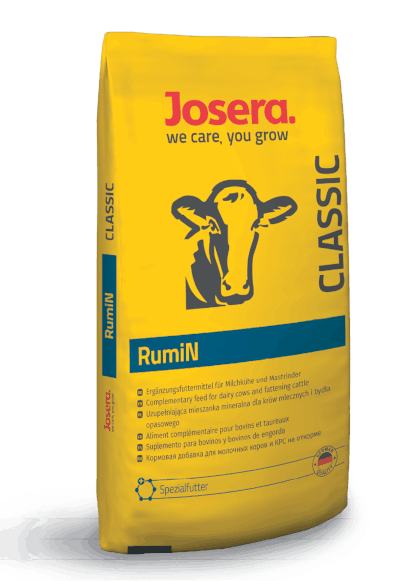 JOSERA Rumi N is a specialty feed with urea and was developed to balance rations with a negative RNB. 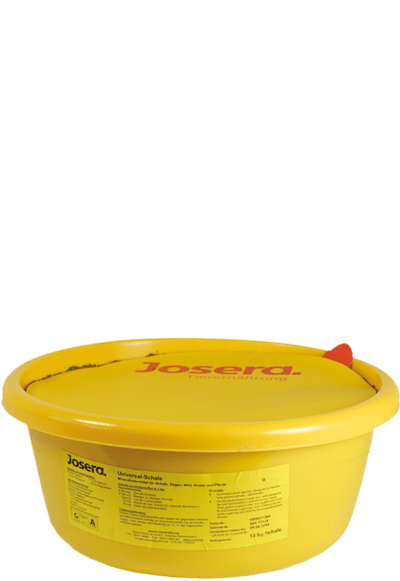 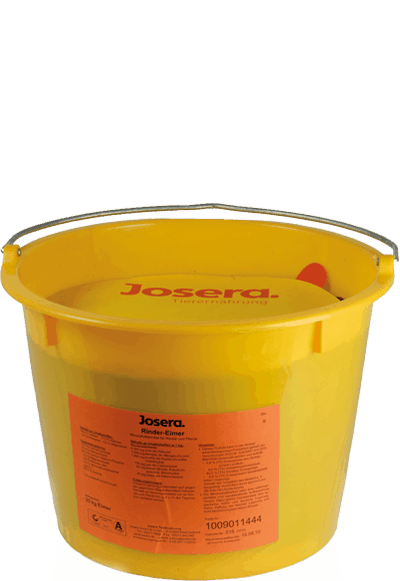 The JOSERA Rindereimer provides an ideal supply of minerals and trace elements in the form of a palatable lick compound. 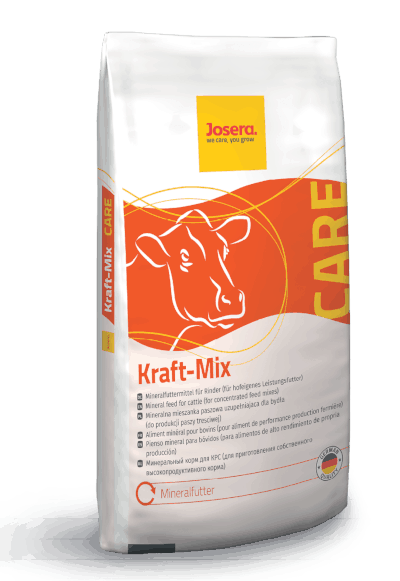 The JOSERA Universalschale is our palatable organic alternative for supplying minerals to all types of animals. 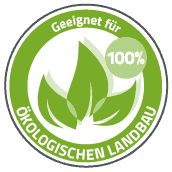 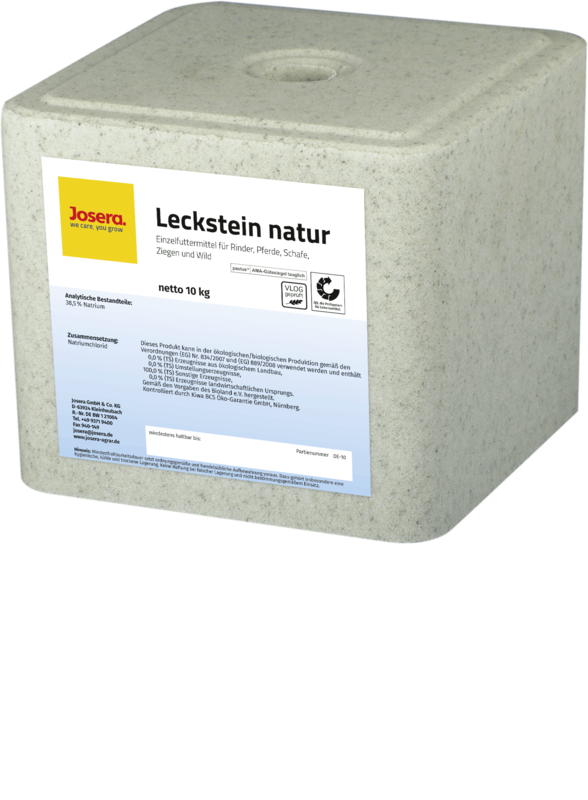 JOSERA Leckstein natur supplies your animals with pure, organic, organic rock or natural salt. 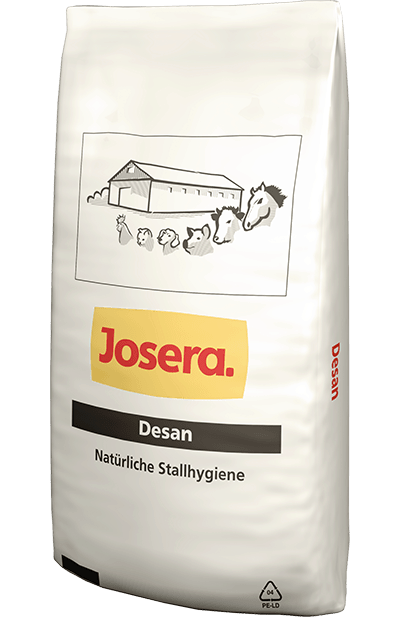 JOSERA Leckstein plus is the optimum, organic source of high quality salt for your animals. 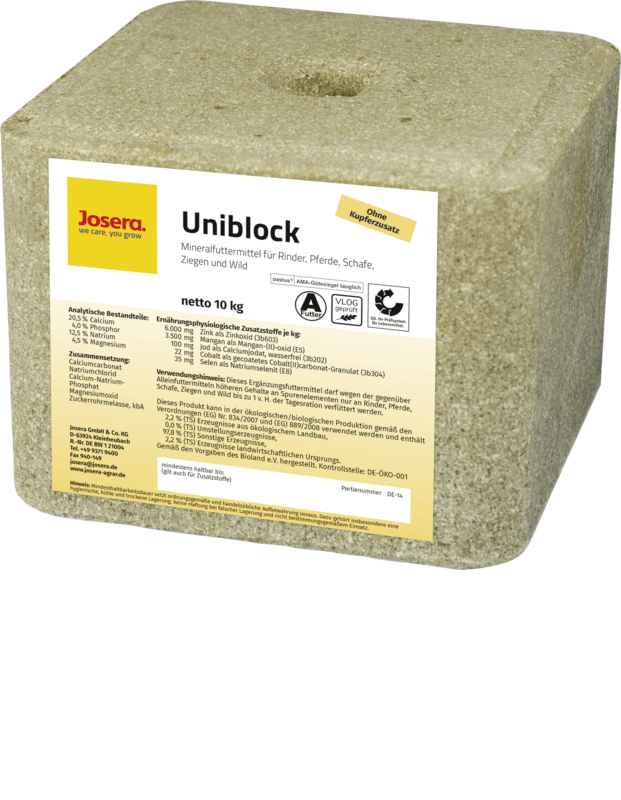 The JOSERA Uniblock is a complete, organic source of high quality minerals for all types of animals. 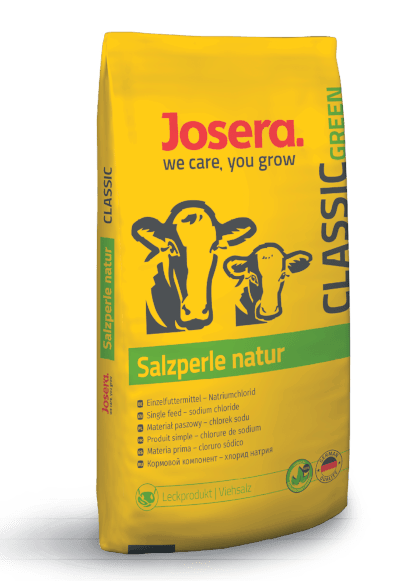 JOSERA Salzperle natur consists of high quality, organic and highly pure rock or natural salt as an optimum supplement.